At the NVIDIA GTC 2019 conference, the company unveiled two solutions that it is billing as solutions for providing cloud gaming services. NVIDIA is building both the basic server building block, the NVIDIA RTX Server, and the full solution called the RTX Server pod. 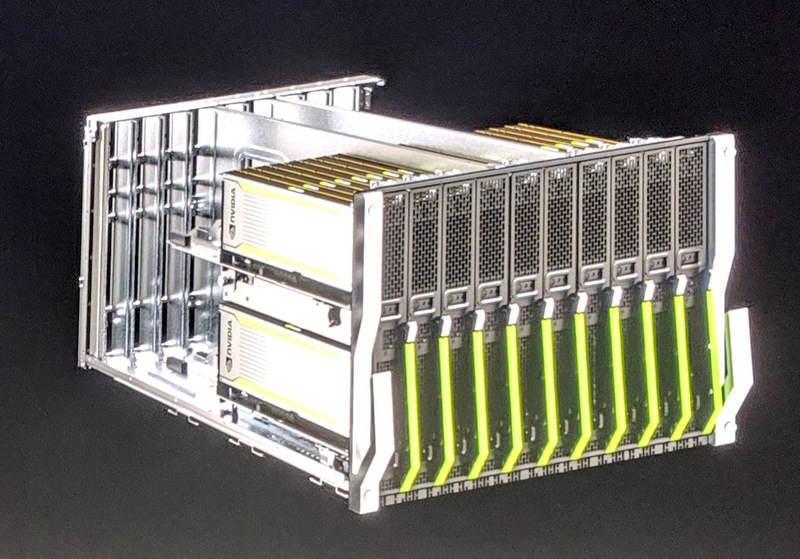 Armed with 80 NVIDIA Tesla RTX capable GPUs, the NVIDIA RTX server is designed to deliver a lot of GPUs. 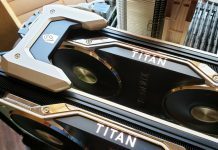 With the 40 RTX capable Turing GPUs, NVIDIA says that it is optimized for cloud rendering tasks. That includes cloud gaming. Although 40 GPUs may seem like a lot, NVIDIA is looking bigger. The NVIDIA RTX Server Pod takes the RTX Server to the next level. With thirty-two NVIDIA RTX Servers plus the storage and Infiniband networking to connect everything together, NVIDIA is trying to deliver a much larger end-to-end solution. This solution takes a total of ten racks. The solution also has the storage and InfiniBand networking built-in. This is where the NVIDIA-Mellanox acquisition synergy was first plugged in the keynote. Behind this announcement are two recent wins in the cloud gaming space for NVIDIA GeForce Now. NVIDIA GeForce Now is the company’s cloud gaming service which seeks to put GPU rendering in the cloud and game streaming to customers who may not have high-end GPUs. NVIDIA touts SoftBank and Japan in LGU in Korea as its first two customers to help bring more infrastructure closer to their users. With 5G networks rolling out in those geographies. 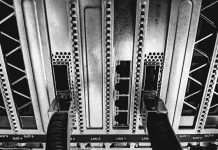 Service providers are looking for new application services that they can offer using the new, higher bandwidth and lower latency networking. One of those applications is gaming. 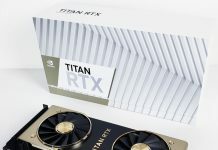 NVIDIA hopes that the NVIDIA RTX Server and RTX Server Pod can be deployed to service providers around the world and a GeForce NOW gaming experience can be running on a carrier network within a week. This is clearly not the only reason NVIDIA is offering almost $7B for Mellanox, but it is showing how larger GPU topologies will need high-speed network fabrics. The photo caption says “NVIDIA RTX Server 80x GPUs In 8U”, but the image in the photo says “40 Turing GPUs in 8U”.